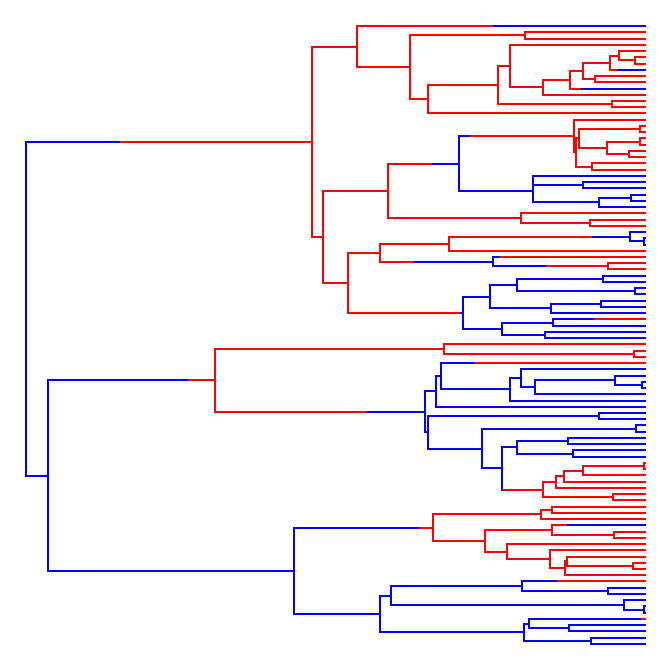 In phytools there are a couple of different functions based on my 2009 Evolution paper with Dave Collar for fitting multiple evolutionary correlations between characters to different parts of a phylogeny (Revell & Collar 2009). 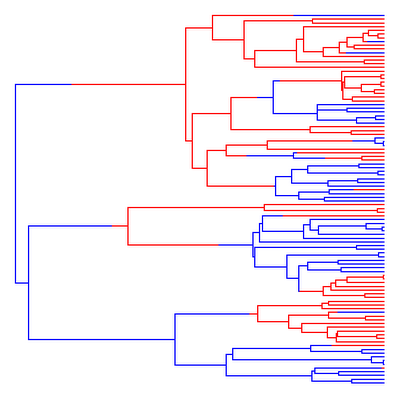 I just added a new function that can simulate multivariate evolution with arbitrarily different VCV matrices for the Brownian process for different states of a mapped discrete character (regimes) on the tree. To do this, I used a similar approach to the existing phytools function fastBM. In this case, however, I drew Brownian changes for multiple characters from their joint multivariate normal distributions. I did this separately for each mapped state; and then I added the changes along each edge together. The function (sim.corrs) is here. We can test it out by generating under a multiple correlation model; and then fitting the model of Revell & Collar (2009) using evol.vcv. Let's try it out. Cool. Both this and the other new functions will be in a new (& soon upcoming) version of phytools.